Intelligent Robotic Process Automation (RPA) in Banking: Are we prepared for the future? While several financial institutions today are focused on gaining a competitive advantage through the use of RPA, embracing it as a disruptive force (and not just as an enabler) will, in fact, separate the winners from the losers. An increasing number of financial institutions are identifying processes suitable for Robotic Process Automation (RPA). However, much of the technology’s potential remains untapped. Intelligent RPA in the banking sector needs to be seen not just as a one-time phenomenon that will increase productivity and efficiency by driving down costs and increasing profitability, but as an evolving paradigm that will have distinct stages of maturation spanning from transactional to transformational and disruptive. What we are currently seeing is just the first stage. 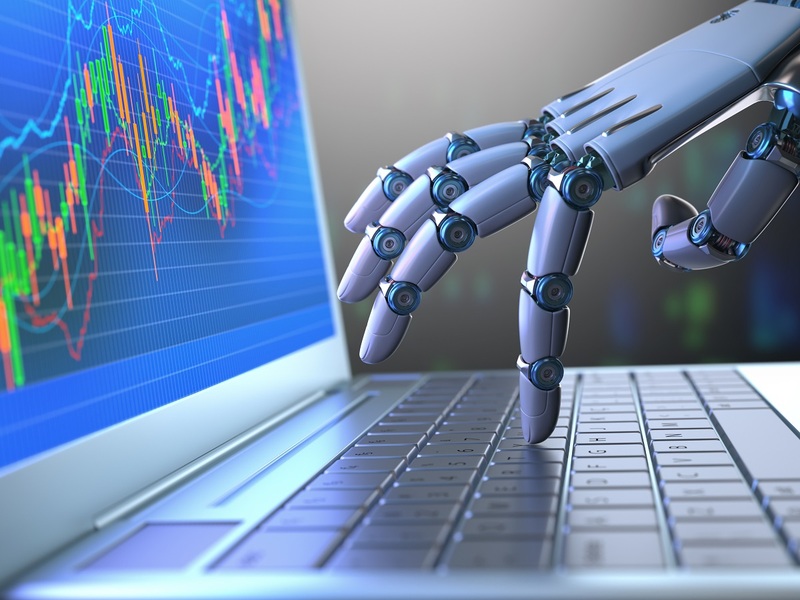 According to trade analysts, the BFSI sector is set to make approximately 44% of investments in RPA over the next couple of years. Financial institutions are increasing their budgets for robotic automation, with a focus on managing regulatory pressures, risk and fraud, aggressive competition, and innovation. Today, most banks use Robotic Process Automation within a transactional framework primarily for improving processes such as accounts management, loans attribution, cards operations, or reconciliation. Banks are embracing intelligent automation to stay relevant and drive higher bank performance and productivity. Some banks have improved their productivity by 35% to 50% as an aggregated benefit from automating thousands of transactions, thereby ensuring greater agility. Banks are adopting robotic automation to reduce costs and increase efficiency in their operations in areas such as mortgage lending, customer service and support and IT. RPA is also gaining increased traction in other key areas in the banking value chain such as regulatory and compliance, financial risk management, cyber risk and resilience, sourcing and procurement, and finance and accounting. In regulatory and compliance, RPA can drive unparalleled efficiency in critical areas of governance and compliance and risk assessment, while facilitating detailed auditing and reporting processes. Apart from ensuring data quality control, RPA is increasingly being deployed to automate processes of credit and market risk exposure and operational and transactional risk in financial risk management. RPA can ensure robust and resilient processes in the area of cyber risk, where it is being deployed to build resilience strategies, anti-money laundering protocols, zero-fault tolerance architectures and faster recovery in events of security breaches. End-to-end sourcing and procurement processes, which encompass procure-to-pay, contract management, supplier management, spend analysis, and order-to-cash, have also become one of the key reasons for increased deployment of RPA in banks. RPA is becoming ubiquitous in finance and accounting functions of banks, wherein benefits of faster and error-free P&L reporting and analysis, on-time management of accounts payable, account receivable, efficient treasury management, effective deployment of internal controls, and record to report (R2R) are some of the benefits that banks can derive by deploying RPA. While the current focus for most financial institutions is to use RPA to increase efficiency and productivity, embracing RPA as a disruptive force (and not just as an enabler) will, in fact, separate the winners from the losers. The future of banking lies in how they specialize and position themselves to reap the maximum benefit from this opportunity. Robotic automation has the potential to bring in disruptive transformation, not only in the banks’ operating model, but the way financial institutions integrate and deliver value to its key stakeholders across the ecosystem. In the future, automation along with artificial intelligence in the banking industry will be focused on moving from customer-centricity to co-creation of products and services with customers – from agile and customized service delivery to the delivery of personalized customer journeys. Most importantly, from increasing value chain effectiveness to building on-demand value chains using atomized value chain components aggregated and assembled in real time to encapsulate unique customer needs. In an already hyper-connected world, intelligent automation, in combination with other technologies such as IoT, block chain, machine learning and analytics on-demand, will bring structural changes in the industry, cross-linking and integration of disparate ecosystem players. On the other hand, it also has the ability to erase industry boundaries and disrupt the value chain by de-layering its key components. This will introduce a completely new set of industry players – with specialized processes and functions along with their unique value propositions and intellectual property rights. Once the first phase of process automation is over, strategic decisions need to be taken by banks about how and where they want to position themselves in the intelligently-automated ecosystem, what value drivers they want to bring to the table in terms of core capabilities, and what collaborative relationships they want to leverage with innovative automation technology players to stay relevant. Get strategic business advice with Netscribes market intelligence solutions.